You clean up a bit before allocating your scythe, which you use during FLARP sessions with your friends, to scythekind. > swing like a madman! (06-21-2018 06:09 AM)lonelyTroubadour Wrote: > swing like a madman! 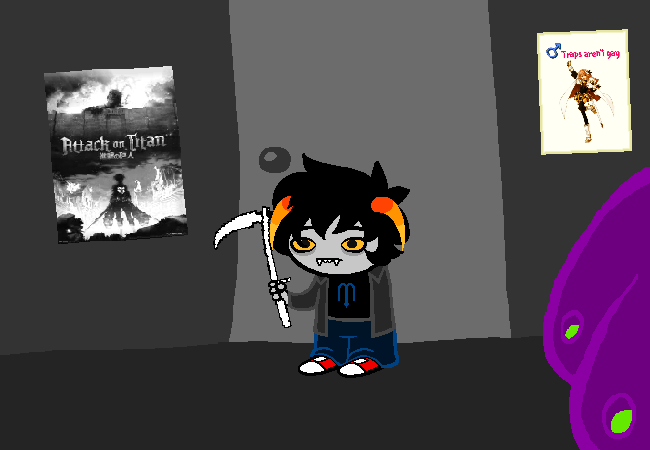 Whoa there, kid; you might end up on r/madlads walking around waving that blunt, tiny toy scythe you got there. Yeah, you're pretty bad with this thing. IT'S NOT GAY IF IT LOOKS LIKE A GIRL!! You are very passionate about this issue. It'd probably be best that you just drop the topic altogether before this escalates any further.